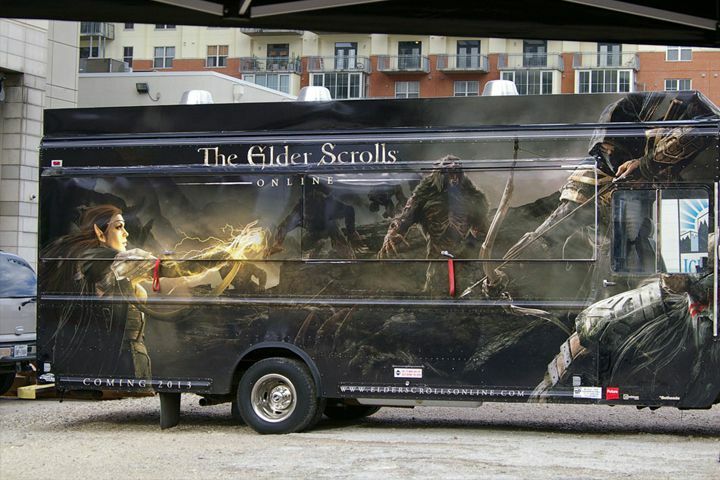 The Elder Scrolls Online Food Truck to Pass out FREE food at Michigan State University! WHAT: The Elder Scrolls® Online Food Truck will be at Michigan State University to distribute *FREE* food and giveaways to hungry fans and students. Complimentary fare will include Pressed Eidarmelt (Nordic Jarlsberg Grilled Cheese) with a choice of three specialty dipping sauces: Fire Petal Dip (spicy, homemade marinara sauce), Emperor’s Garden (Chef’s special pesto) or Tomato-Mammoth (classic Bolognese). Sandwiches will be accompanied with Tangy Ninroot (pickles), Corkbulb Crisps (kettle chips) and Alocasia Fruit Juice (fruit punch spritzer). WHO: Future US, a leading media group specializing in video gaming and technology properties including GamesRadar, PCGamer.com,Official Xbox Magazine, and Maximum PC, and Bethesda Softworks®, in conjunction with Fearless Media, have teamed up yet again for another nationwide food truck program to feed fans. The Elder Scrolls Online brings the award-winning Elder Scrolls experience online for the first time. Using ZeniMax Online’s Megaserver technology, players will join one connected world with a built-in social network that lets them stay up-to-date with everything their friends are doing, making it one of the most socially enabled games ever created. Whether playing alone, or with hundreds of friends, players can develop their own style of play as they embark upon an epic quest across Tamriel. The Elder Scrolls Online is slated for release in 2013 and is being developed for the PC and Mac by ZeniMax Online Studios.